Thanks to everyone who entered our Pin It To Win It giveaway this month, we saw some fantastic pins and comments. Random.org has decreed our winning entry to be Raveler Lindaturc, who is wishing for some Dreamz Interchangeable Needles - looks like Santa got her letter! We have sent a private message to Lindaturc to arrange delivery of her Dreamz Starter Set. Congratulations! We're pleased to offer you this photo tutorial (featuring our own Dreamz Crochet Hook!) courtesy of Stacey Trock at Fresh Stitches. We are proud sponsors of the Fresh Stitches Crochet Chat Podcast this month and are excited to share this post with our fans! "Sc in each ch" is an instruction you'll often see in a written pattern. But exactly how do you crochet into a chain? It's a great question, because there are actually two different options for crocheting into your chain stitches. I'll show you both options and compare the finished look! It should look like a bunch of 'V's, laying on their side. Look at the back... you might just be looking at the wrong side! Is your chain forming a ringlet curl? That's normal! Mine is just flat because I'm pulling on it. The ringlet will come out once you continue crocheting. Is your chain zig-zag-y? This typically happens when you pause in between your chains, which allows the chain to twist slightly. Okay... let's do our first row! As you can see, crocheting through both loops creates more of a 'bump', while crocheting through both loops is straighter along the bottom edge. There's no right way! And once you know the two options, you'll be able to pick the one that best suits your project! Let the holiday countdown begin! Our Dreamz Limited-Edition Gift Set is now in stores, but not for long. As we've mentioned before, only 1500 sets are available, and when they're gone, they're gone! If you've been exceptionally good this year, this is the perfect addition to your wish list (click here to find a retailer near you!). We know our fans are putting their favorite Knitter's Pride needles and hooks to good use this month creating memorable handmade gifts for their loved ones. All of us at Knitter's Pride would like to play 'Santa' by offering some extra-special prizes for our fans this month! We're giving away a Dreamz Starter Set to one lucky fan - all you have to do is pin your favorite Knitter's Pride product directly from our website (make sure it shows up here), then leave a comment on this blog post with a link to your pin and a way for us to contact you if you win (Ravelry name or e-mail address will do!). Not on Pinterest? That's ok, you can still enter our giveaway - simply leave a comment on this blog post sharing which Knitter's Pride product is at the top of your wish list (plus a way to contact you)! One winner will be announced on this blog on Friday, December 21 (we will use a random-number generator to pick our winner). Good luck! Be sure to follow us on Twitter, join our Ravelry group, or like our Facebook Fan Page for more great prizes this month (hint: if you've been wanting to give Karbonz a try, you won't want to miss out on this month's giveaways)! 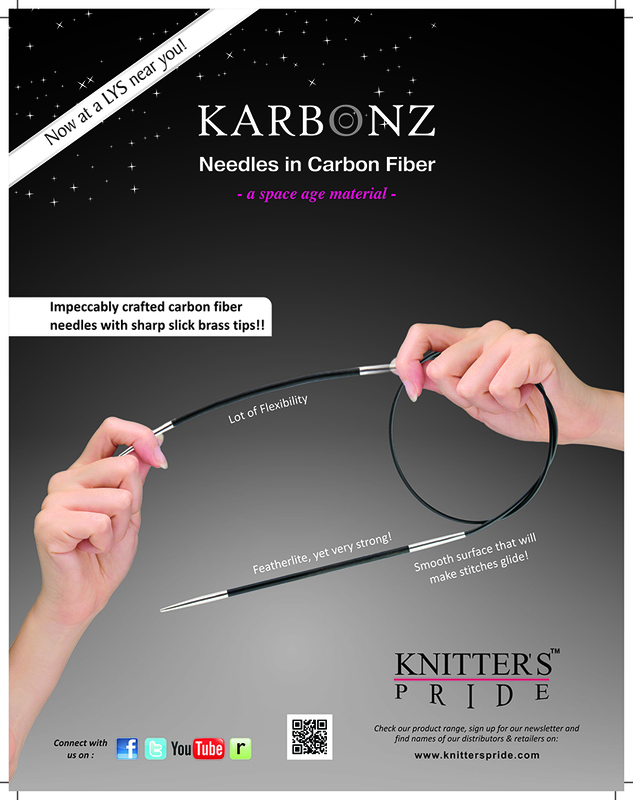 We know that many of our fans were anxiously awaiting the arrival of Karbonz, our newest needles to join the Knitter's Pride family of products. Combining the sharp tips of our Novas with the lightweight, flexible carbon fiber which has an extremely high tensile strength, our Karbonz needles give you the best of both worlds! We currently feature Straight, Single-Point and Fixed Circular needles in sizes ranging from US #000-US #4. Click here to find a retailer near you! We're also excited to share the details of another exciting new product that we developed with the folks at Jimmy Beans Wool. 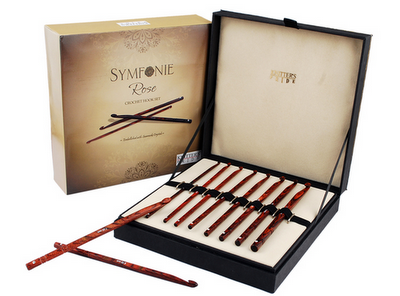 When they asked us to create a one-of-a-kind interchangeable set that was truly "fit for a feast," we came up with this sleek set of Onyx-colored needle tips ranging in sizes from US #4 to US #11 which includes a spiffy case and four cords (one each 24" and 40" plus two 32"). The Holiday 2012 Dreamz Deluxe Set (available only at Jimmy Beans Wool) was inspired by the story of Kirstin Muench, one of our US distributors, and was part of "Operation Turkey Trot" - click here to read all about it! It's not too early to start making your holiday shopping list. We'd like to make it easy for you by rounding up the gifts you'll want to give and receive! 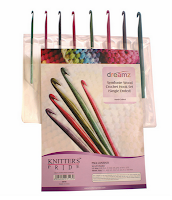 For the serious knitter: The Dreamz Limited Edition Set is the ultimate gift for knitters this holiday season! Only 1500 gift sets will be available, each beautifully packaged with a certificate bearing a distinct box number. 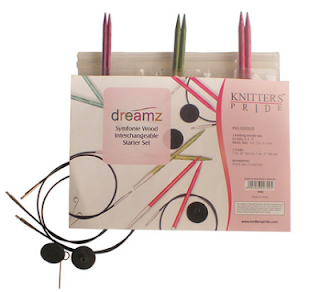 The attractive wooden box contains nine sizes of interchangeable Dreamz needle tips along with cords and other accessories. One set of Zooni Bead Stitch Markers are added complimentary in the set. For the sock-a-holic: Our Sock Needle Sets ensure you're ready for any sock project your heart desires! Choose from Nova or Dreamz, each set includes 6 sizes of DPNs ranging from US #0 to US #3. Sock Blockers are also an excellent choice for your sock-making friends. We have two colors to choose from, each available in three different sizes. For those who crochet: The Symfonie Rose Crochet Set is attractively packaged and tailor-made for gifting! Each single-ended crochet hook is adorned with European crystals. Sizes range from US E/4 to US L/11 totaling 8 hooks in all. The crochet artist on your list is sure to appreciate this elegant set! For stocking stuffers: Row counters, stitch holders, cable needles, stitch markers and point protectors are all handy gifts that knitters (and crocheters!) frequently forget to buy for themselves! Make sure your friends are ready to tackle a variety of projects in the new year by gifting these knitting bag essentials. For knitting guilds and stitching groups: If you have a big groups of crafty pals to shop for, remember that good things come in small packages! 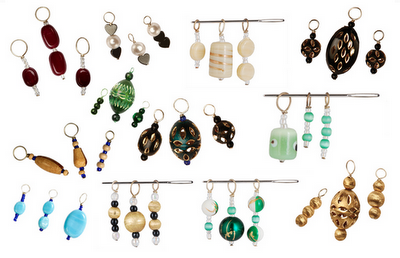 Our Zooni Bead Stitch Markers are colorful and stylish, not to mention useful. Choose from 17 colors and styles in all - each set includes 3 markers in all. There's sure to be one for everyone on your list! Winner + Choosing the Right Needles for YOU! Thanks to everyone who entered our blog contest this month! We were impressed with the variety of answers we received when we asked the question, "how do you like to knit socks?" Our winner is Patrick Lyddy who said "Two at a time, Toe-up! Have an actual pair when you're done and no Second-Sock-itis!!" Please contact us at support@knitterspride.com (or Ravelry PM knitterpride) to arrange delivery of your Knitter's Pride Sock Blockers. Congratulations! 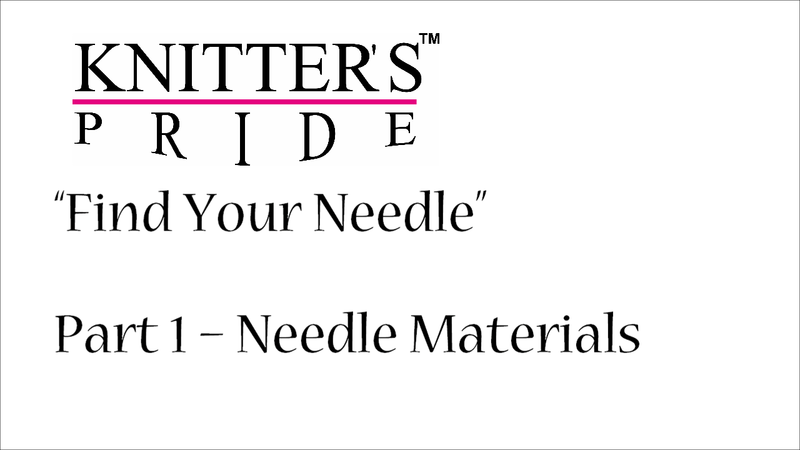 Though many of our fans know which style of needle they prefer, we'd like to offer anyone who is new to Knitter's Pride a few suggestions to help select the right needles for your next project. First, consider what you'll be making: Projects that are knitted flat are well-suited to single-point needles, which beginning knitters are often more comfortable using. However, if you are knitting something large such as an afghan, you'll want to use circular needles so that you have plenty of room for all of your stitches. 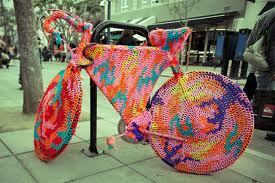 Projects that are knitted in-the-round can be made on circular needles or double-point needles (DPNs). As we noted in our last blog post, small circumference projects can use either needle option if you know how to use the magic loop technique for circulars. Larger-circumference projects such as sweaters work best on circulars. Lace knitting is often faster and easier with sharp-pointed needles such as our Nova or Karbonz needles, while sock knitting (as we learned in our last post) lends itself to various needle and material types. This brings us to our next point: your knitting style. Yes, how you knit can play a part in your needle choice. Do you hold a lot of tension in your hands as you work and are often sore after a few hours of knitting? Give our ergonomic Cubics needles a try! 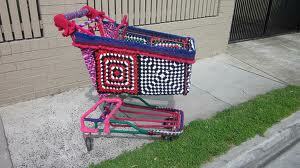 Knitting on-the-go? Consider using circular needles - there's no need to worry about dropping a needle and never finding it again! 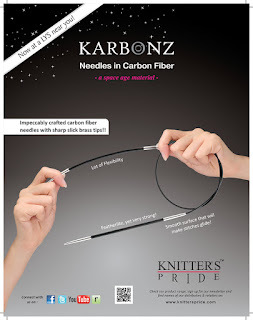 Our new line of Karbonz needles is also great for traveling knitters; they are virtually unbreakable while still being lightweight and warm to the touch. Both Karbonz and Nova needles can endure being packed away in your purse or bag without fear of snapping. If you're trying to decide between fixed circular needles or investing in an interchangeable set, it's especially important to pay attention to how you knit: knitters who tend to twist their knitting while working in the round will be happiest with fixed circular needles, while looser knitters who use less twisting motions in their knitting will enjoy working with our interchangeable sets. Ultimately, personal preference is often the deciding factor in choosing needles. Once you've tried various materials and styles (such as in our Comby Sampler Set), you'll know what works best for you! For our sock-obsessed fans, October is also known as Socktober, a time to welcome fall and celebrate all things sock-related! We've seen a lot of great new sock patterns for fall, such as Rohn Strong's Horatio Socks from The Heritage Collection (perfect for beginners! ), Hunter Hammerson's Phaeodaria socks from the first issue of The Sock Report, or the Pair-a-Normal colorwork socks from Knitty Deep Fall. There's so much sock-knitting inspiration this fall! If you're new to sock-making, it might seem intimidating at first, but with the right tools and a few good resources to turn to when you get stuck, you'll be happily making socks in no time flat! We've rounded up a few helpful articles and videos below to get you started. We're also giving away one pair of Knitter's Pride Sock Blockers to a lucky reader - see below for details! YouTube provides thousands of free tutorial videos. Our friends at Jimmy Beans Wool not only share informative product reviews on their YouTube channel, they also have several videos demonstrating knitting and crochet techniques. This tutorial demonstrating the German Twisted Cast-On method is great for starting your top-down socks! For visual learners who prefer a little more guidance, point your browsers to Craftsy.com. Craftsy has several video classes you can enroll in for a one-time fee, giving you lifetime access to in-depth video instruction. As an added bonus, you can ask questions for the instructor or fellow classmates to answer as you view each lesson. Donna Druchanas' Knit Original Toe-Up Socks, and Knit Original Cuff-Down Socks classes will have you knitting socks like a pro, no matter which method you prefer! Another great resource is Knitty.com, which has lots of fantastic articles on technique. Toe-up sock enthusiasts will find the Jeny's Surprisingly Stretchy Bind Off photo tutorial to be particularly handy; there's nothing worse than knitting a beautiful pair of socks you can't get on your feed because the bound-off cuff is too tight! Finally, you can always turn to the blogosphere for sage advice and photo tutorials. Do you prefer knitting socks with DPN needles, but don't know how to avoid unsightly stitch 'ladders'? 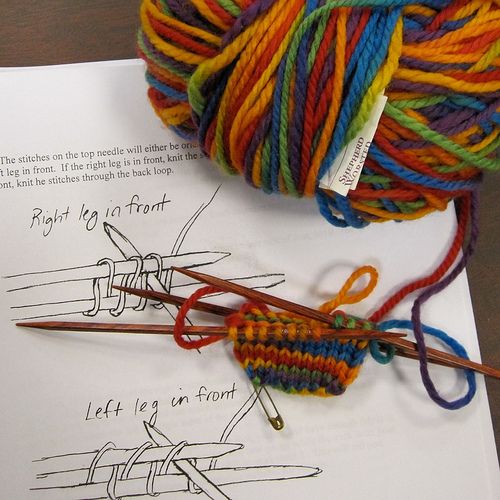 Kirsten Hipsky, the Design Manager at Webs, shared a few of her best tips for preventing ladders earlier this year on the Webs Yarn Store blog; Cookie A shared a fantastic photo tutorial on her blog earlier this summer demonstrating an easy way to repair holes in well-loved socks. If you have sock questions, there are most likely answers waiting for you out in the blogosphere! How do you like to make your socks? Top-down or toe-up? Magic loop or on DPNs? One-at-a-time or two-at-a-time? Leave a comment on this post to share your favorite sock-knitting method(s). You'll be eligible to win a pair of Knitter's Pride Sock Blockers so that your finished socks will look their best! We'll randomly select one lucky winner on Friday, October 26th. Good luck! Tools of the Trade for Successful Crafting! Having the right tools at hand can make whatever you're doing easier and infinitely more enjoyable. At Knitter's Pride, we don't see why those tools can't also be lovely to look at, too! From our candy-colored line of Dreamz knitting needles and crochet hooks to our stylish fabric needle storage bags (and everything in between! ), make sure you've got what you need at your fingertips as you jump into fall crafting. Most knitters will tell you that keeping a few good crochet hooks on hand is a good idea. From fixing dropped stitches to creating a quick and easy provisional cast-on, a crochet hook can be a knitter's best friend. You'll want to have a few sizes to correspond with the yarn weights you typically work with, of course. Our color-coded Dreamz line is a great choice - simply grab and go! Crocheters appreciate our many varieties of crochet hooks, but if you're new to the craft you might be wondering, "Which hook is right for me?" We've got some good news: all of our hooks were designed to work with with every type of material, whether you prefer to crochet with wool, cotton, bamboo, silk, acrylic, or any fiber combination you can dream up! On the Fresh Stitches blog: Dreamz crochet hook! It truly comes down to personal preference and what works with your crocheting style. For crafters that tend to grip the hook near the working area, our our ergonomic hooks (available in aluminum and steel) are preferred because the soft handle grip is easy on their hands. For those that tend to hold their hook further away from the working area, our Dreamz and Basix crochet hooks are an excellent choice; the highly-polished surface provides easy stitch flow as you work. Ready to craft like a pro? One of our Dreamz crochet hooks was recently used in a photo tutorial on the Fresh Stitches blog - click here to see how easy it is to knit or crochet from both ends of a skein! Thanks to everyone who watched our latest YouTube video and entered our giveaway! Those of you who guessed Ursula and Uma the Understanding Monsters by Rebecca Danger (or any permutation of that pattern name) were entered into our drawing to win a Knitter's Pride Shawl Pin. The Random Number Generator chose Karin, aka kvitsvart on Ravelry as our winner - we have PM'd you to arrange for the delivery of your prize. Congratulations! We also have another prize winner to share with you - last month's winning entry in the Share Your Pride Video Contest! Congratulations to Esther, whose winning entry will receive her choice of a deluxe needle or crochet set from Knitter's Pride and a free shawl pin! Watch her video below to see her "most interesting filming location" (last month's theme). We hope this inspires you to work on your submission for this month - our theme is "best animal guest appearance." You can view the full contest rules and upcoming themes here! Is everyone working on their video submission this month? We hope you're having a great time putting together your entry for the Knitter's Pride Share Your Pride Video Contest (and remember, we're not expecting an Oscar-winning performance - just fun videos by our creative fans!) . We'd like to inspire you to enter our video contest with our latest YouTube video below. Does anyone recognize the knitted monster who makes a guest appearance? 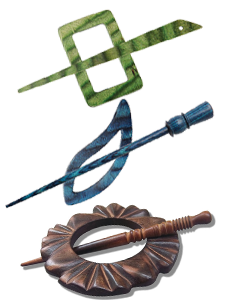 We'll be giving away one free shawl pin to the reader who correctly identifies the name of the pattern and designer. Be sure to leave your best guess as a comment on this blog post, along with some way to get in touch with you (ravelry ID or email address would suffice). In the event that we have several correct guesses, we will use the Random Number Generator to pick a winner. Be sure to follow us on Facebook and Twitter - we might be sharing a few hints in the weeks to come to help you guess! We'll announce the winner in our next blog post on September 7. Good luck! 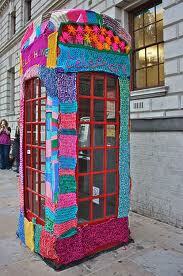 Do You Knit or Crochet on Location? We're looking forward to seeing everyone's most interesting filming location for this month's Share Your Pride video contest submissions! Everyone who enters will win a free Knitter's Pride Shawl Pin! They'll also be entered to win their choice of a deluxe needle or crochet hook set! As if that weren't enough, Blogger/Designer Allyson Dykhuizen has also offered a free pattern or kit for anyone sharing their favorite design (made with Knitter's Pride products, of course!) 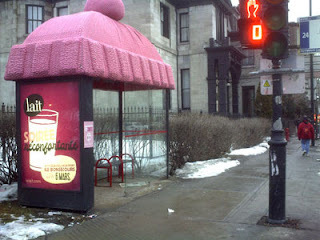 from The Sweatshop of Love, Holla Knits! and WORK+SHELTER. You can view more details here on her blog! So many shawl knitters have entered our contest! We received such great comments that we've decided to not only give away a pattern holder to one of our blog readers, but also a shawl pin to a second lucky reader! Random.org has selected comment #43 by Lindr as the winner of the pattern holder and comment #1 by Sarah to win the shawl pin! Our prize coordinator will contact you shortly to arrange delivery of your prizes. Congratulations and thanks for reading! Knitters and crocheters alike are sure to be intrigued by Tunisian crochet, a technique that creates a woven effect in the finished fabric. 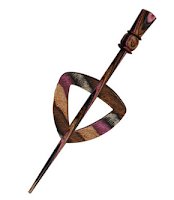 Tunisian crochet uses a long hook similar to a knitting needle (shown below), allowing the crafter to work each row in two "passes": the forward pass, which works the loops onto the hook, followed by the reverse pass, which works the loops back off of the hook. 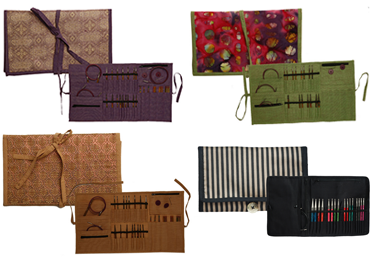 We've created our line of Tunisian crochet hooks for maximum glide and ease of use. Our Dreamz interchangeable hooks feature resilient, flexible cords that won't kink or twist. 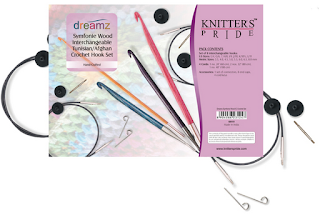 Each cord is easy to connect with a smooth join to ensure stitch flow, and the Dreamz Tunisian crochet set includes eight of the most useful hook sizes, all easily identified by the color-coded polished wood sourced from Vermont. We had the pleasure of meeting Jennifer Hansen of Stitch Diva Studios at TNNA this past June. Jennifer has pioneered Tunisian Crochet, offering a series of free tutorials here on the Stich Diva website. Recently, Jennifer filmed a video course for Craftsy.com, Tunisian Crochet: Revolutions on Color and Style, demonstrating each aspect of the technique, step-by-step as you watch from the comfort of your own home. Once you have the right tools and learn the basics, there's no end to the possibilities of what you can make with this exciting technique! From Jennifer's colorful multi-garment featured in her Craftsy class (shown below) to any number of interesting and unique patterns you'll find on both Ravelry and Craftsy, create your own revolution in color and style with Knitter's Pride Tunisian crochet hooks! We're continually amazed at the wealth of creative, beautiful and downright interesting patterns being published on a daily basis, and the popularity of shawls and wraps in particular has caused us to take note. Just look at how many favorites the Color Affection shawl has accrued on Ravelry, or see how many eager knitters have cast on for this year's WestKnits Mystery Shawl KAL! 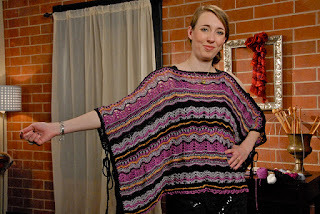 We saw countless beautiful shawls at TNNA last month, from simple stockinette to beautiful beads, crocheted, lace, stripes and colorwork, all in a variety of shapes and sizes. No matter what your specialty is, there's nothing like the perfect shawl pin to complement your handiwork. It's always a good idea to have several different types of stitch markers at the ready - at TNNA Columbus, we debuted mio rings, split rings, and locking stitch markers, all of which will come in handy when you need to mark pattern repeats, increases and decreases, or even mistakes to fix later. Split ring and locking stitch markers can also come in handy when you're assembling a finished project (designer Stacey Trock likes to use locking stitch markers when attaching amigurumi features, for example!). When you're using several stitch markers in a project, it's sometimes nice to have a unique marker to designate the beginning of the round or center of a row; our brand-new Zooni stitch markers do the job nicely! They are made from colorful beads and slip easily onto your needles as you knit. 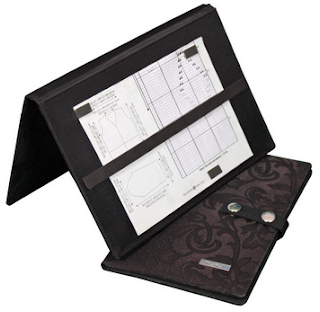 Pattern holders are another indispensable accessory, especially when following a complicated charted design. Our Magma Pattern Holder stands upright when folded open; extremely strong magnets ensure you won't lose your place in the pattern. We've also included pockets to hold other pattern notes, pens and stitch markers - just fold it up and go, taking all of your essentials with you! We'd like to give one lucky reader a chance to win a pattern holder; simply leave a comment on this blog post sharing your favorite project to make and why our pattern holder would help you do it! Be sure to also leave some way for us to contact you if you're the winner (e-mail address or Ravelry ID are ideal). One comment will be randomly selected on Friday, July 27th as the prize winner. Good luck! The Magma Pattern Holder comes in two size options! We've just returned from our first-ever TNNA Trade Show in Columbus, OH. It was a phenomenal success! Reading all of the great comments on our last blog post has been enjoyable these past few weeks. It's always fantastic to hear such enthusiasm for our products. Our lucky winners are Happycrafter207 and Monkalicious. Congratulations! We have messaged you via Ravelry PM to make arrangements for claiming your prizes. Record a short video (1-3 minutes) telling us about your favorite Knitter's Pride product. 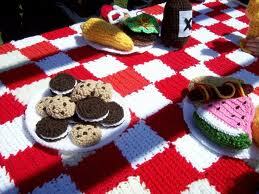 Be sure your video's title includes the words "Knitter's Pride" and the name of the product you're showcasing (i.e. Nova Knitting Needles). 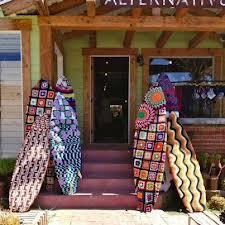 Like the Knitter's Pride Facebook Fan Page. Upload your video to our Facebook Fan Page. Send the video link to video@knitterspride.com. July: Anything goes...just tell us why you love Knitter's Pride! Ready to get started? Click here for full contest details, rules and eligibility requirements, then get ready to Share Your Pride! 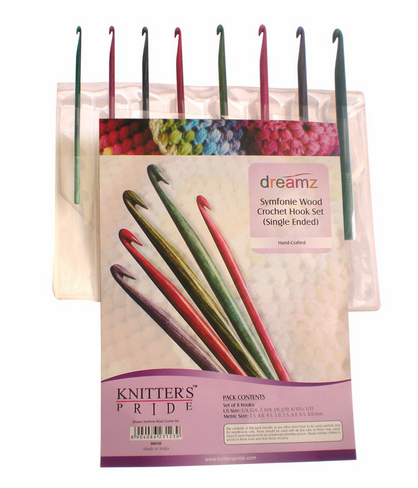 Whether you prefer wooden or metallic hooks, Knitter's Pride has you covered! 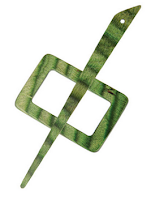 If you're new to crochet, our line of natural birch hooks are perfect for getting started. Basix single-ended hooks come in eight sizes and work well with any type of material, especially thicker yarns. The Dreamz line of crochet hooks are color-coded for easy identification and available in traditional as well as Tunisian-style. Each hook is lightweight with a polished wood surface for effortless glide; choose from 13 sizes of single-ended hooks to add to your collection, or get our crochet set which includes eight of the most frequently-used hook sizes. Our Dreamz Interchangeable Tunisian line has the same great features as our single-ended hooks plus easy-to-connect cords with smooth joins. 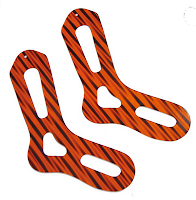 Purchase individual sizes of hooks or invest in a set! For those who prefer metallic needles, our lightweight Aluminum and Steel crochet hooks feature ergonomically-designed soft feel handles for hours of comfortable crafting. Single-ended steel hooks are available in six sizes; for a wider range of sizes, our single-ended aluminum hooks (available in gold or silver anodized finishes) fit the bill. 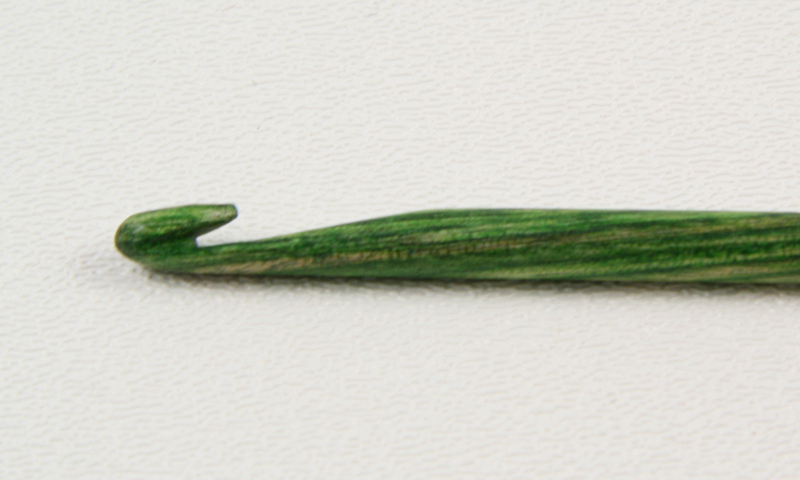 We also have single-ended Tunisian hooks in our aluminum line! Knitter's Pride is proud to provide jobs for folks in rural India who do not have have viable sources of income; we also support charities in our local community. However, we also like to support our American friends and fans! Recently, we sponsored Beans for Brains (click here to see who this year's scholarship winners are!). 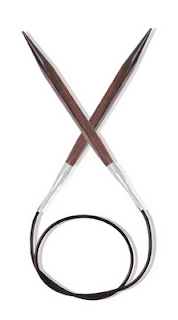 We also source the wood used to manufacture our Basix and Symfonie line of hooks (and needles!) from the USA. Additionally, all of the cords used in our interchangeable sets are purchased from a supplier in Ohio state. Ready to give us a try? We're giving away two crochet hooks, one Aluminum and one Dreamz. Leave a comment on this entry sharing something new that you learned from this post and whether you would like to try a wooden or aluminum hook (be sure to give us a way to contact you, too, such as a Ravelry ID). We'll randomly choose two winning comments on June 29th. Good luck! Winner + Where Your Needles Come From! Congratulations to our winner, StaceyD! Her comment was randomly selected to receive a pair of US #7 Nova fixed circular needles: "I'd love to try the Nova needles. I've been frustrated with blunt points and am in search for a good sharp needle.Thanks!" Please e-mail support@knitterspride.com with your shipping address so we may get your prize sent out ASAP! Thanks to everyone who entered our giveaway this month. You'll have more chances to win great products from Knitter's Pride beginning next week. All of our fans and followers will be automatically eligible for our weekly drawings each Friday. Be sure to join the Knitter's Pride family for your chance to win! Like us on Facebook, follow us on Twitter, and of course - tell your friends so that they can win great prizes, too! 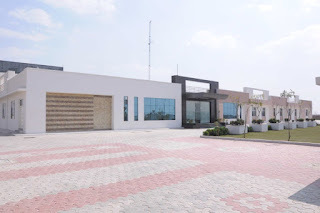 If you've ever wondered where your needles come from, here are some shots of our brand-new factory. We broke ground in January of last year, and seven months later, our first shipment went out the door! At the new factory we make close to 1 million needles every month. A major part of the production is the Symfonie wood needles, Cubics and Dreamz. We have close to 300 people working in the factory - nearly 100 of our employees are female. This is notable because most women living in rural India tend to stay at home while the men are the breadwinners. However, we encourage female workers to join the Knitter's Pride family, training them extensively since it is quite often the first job they've ever had. The joy when they receive their first paycheck must be seen to be believed! 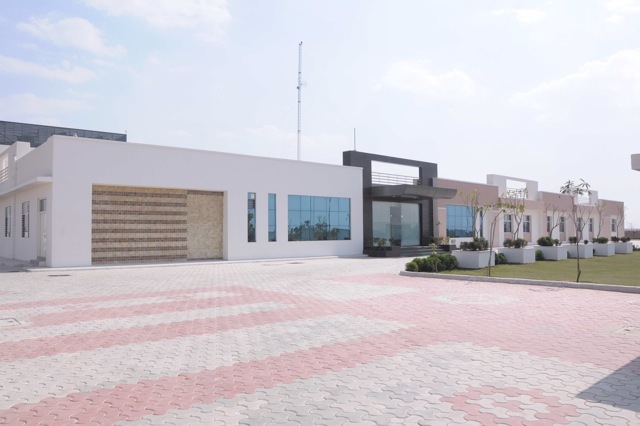 To see more photos of our factory, click here! Metal needles don't always get their due, but when it comes to durability, ease of knitting, and affordability, you can't find a better needle than Knitter's Pride Nova. Choose from Single Point, Double Point, Fixed Circular, and Interchangeable Sets - we've got you covered in a wide range of sizes to suit any project you'd like to make. We also have several sets for the serious knitter. Enhance your needle library with our Starter, Deluxe or Chunky Interchangeable Needle Sets, or perhaps you'd prefer our Special IC Set, which is specially engineered for small-circumference projects. 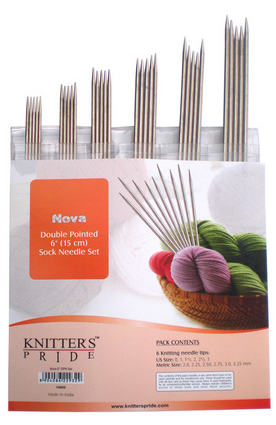 Sock knitters love our Double Point Needle Sets, which come in your choice of 5" and 6" needle lengths. Finally, our Single Point Needle Sets feature 9 popular needle sizes in your choice of 10" and 14" needle lengths - it's great for beginner and experienced knitters alike! You don't have to take our word for it! Our latest YouTube video features knitters like you - watch below to find out what they have to say about Knitter's Pride Nova Needles! We know that once you give these needles a try, you'll fall in love - so we're giving you a chance to win a pair of US #7 Circular Nova Needles right here on this blog! To enter, leave a comment on this post telling us why you'd like to test-drive Nova needles. You can gain a bonus entry if you subscribe to our YouTube channel, then leave another comment here telling us you did so with your YouTube username. We'll randomly select one lucky winner on Thursday, May 31st. Good luck! Thanks to everyone who entered our giveaway this month! We are pleased to read so many fantastic responses. Congratulations to RoamingKnitter, our winner for the US#10 Straight Cubics giveaway. Please e-mail support@knitterspride.com with your shipping address so we may get your prize sent out ASAP! Comfortable Crafting + A Contest! We’re celebrating comfortable crafting this month at Knitter’s Pride! 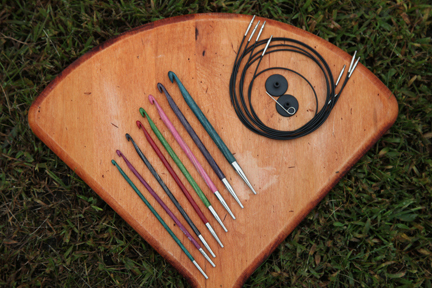 For those of you who have carpal tunnel syndrome, tendonitis, arthritis, and other issues which hamper your crafting time, we’ve developed our Cubics needles and ergonomic crochet hooks with you in mind. Our ergonomic products will help you craft the hours away when combined with a little self-care. Taking frequent breaks to stretch is essential - here are some great stretches for crafters from knitfreedom.com. For minor pains, ice is a great way to reduce inflammation and get a little relief. Of course, if your pain persists, it's important to stop what you're doing and go see a doctor to ensure you don't have a serious injury or other illness. Once you get the go-ahead from your physician, you can pick up your needles or hook and get back on the crafting horse! What makes Cubics so special? The unique ergonomic shape (a cuboid cross-section) provides comfort to the hand and yields uniform stitch formation. Because of the shape, you don’t need to grip the needles as tightly, easing tension in your hand and wrist. Our Aluminum single-ended crochet hooks (available in gold or silver finish) and Steel single-ended crochet hooks feature ergonomically designed handles which are easier to grip, encouraging hours of comfortable crocheting. They are lightweight, durable and great for all crocheters, from beginner to advanced - even those with arthritis! We'd like to give you a chance to see for yourself - we're giving away one pair of US#10 straight Cubics needles to one lucky winner! Leave a comment on this blog post sharing either your favorite tip for self-care or why you'd like to give Cubics a try. Be sure to leave a way for us to contact you (ie, Ravelry ID) in case you win. We'll randomly choose one winning comment on Friday, April 27 to announce on this blog. Good luck!